Fall is not when the leaves start to change colour or the weather gets chillier. It’s not the autumnal equinox or Sept. 21. For me, fall is when Starbucks starts serving their pumpkin spice latte or PSL as it’s fondly known. There is a similar rule for winter and the Peppermint Mocha, but that’s another story for another time. I don’t often buy specialty coffee drinks; I’m more of a black coffee or espresso girl. Aside from the price, the calories make me feel like it’s not worth it (I’d much rather eat some chips). But every once in a while, usually on a Friday afternoon, I treat myself, and a tall, extra-hot PSL is my go-to for fall. But why stop at a PSL? Why not add a little PSL to your life in other ways? I’m glad you asked. 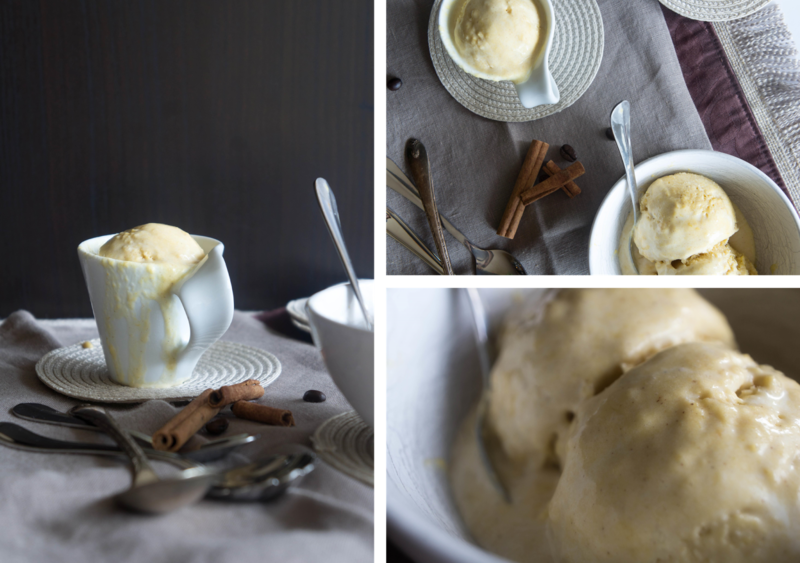 Behold PSL ice cream: vanilla ice cream spiked with coffee liqueur and blended with a roasted pumpkin puree and all the right spices. It’ll have you wondering whether it’s summer or fall. The answer is, it doesn’t matter. 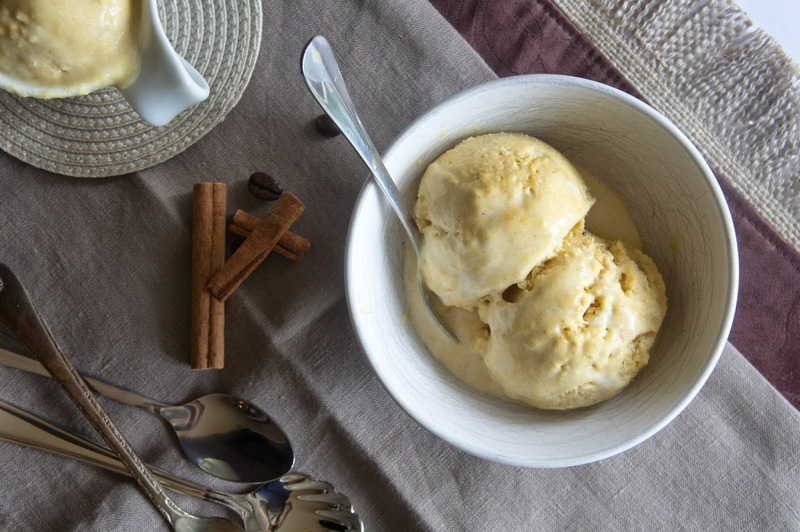 Eat this ice cream at any time of year. Plus, this can be super easy if you buy the ice cream instead of making it! A perfect ending to a Thanksgiving feast that can be made ahead of time, is sure to impress, and will leave you time to enjoy dessert by the time you serve it. Now you can have your PSL and eat it too. Preheat the oven to 375F. Roast the pumpkin whole, on a sheet pan, for about 1 hour or until soft when pressed. Make sure your pumpkin is not huge, otherwise it will take a really long time to roast! If all you have is a huge pumpkin, cut it in half and roast on an oiled sheet pan cut side down. Make sure to check that the flesh is soft before cooling and proceeding. Set aside to cool until you can handle it. Split the pumpkin in half and scoop out the seeds and stringy bits. Scoop out the flesh into a food processor. Add all other ingredients except the ice cream and puree until smooth. 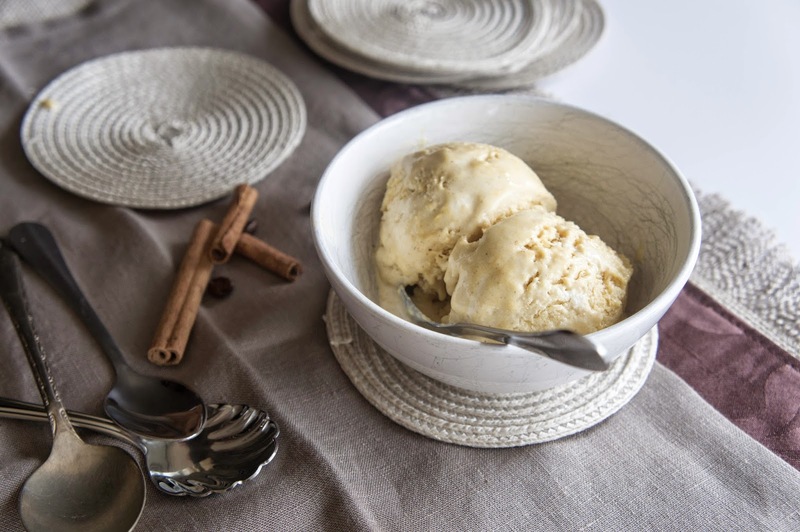 For store-bought ice cream, soften the ice cream at room temperature for 10-15 minutes and stir through the puree. 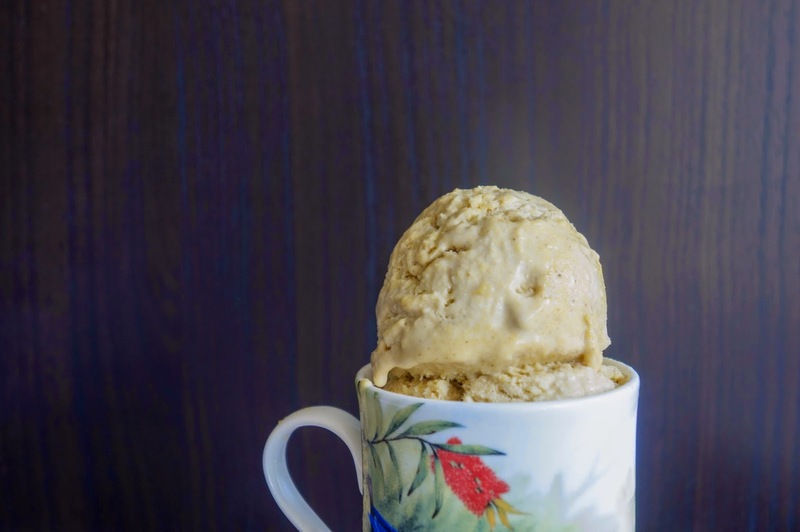 If you are using store-bought vanilla ice cream but you still want that coffee kick, also stir in 2 tbsp Kahlua. 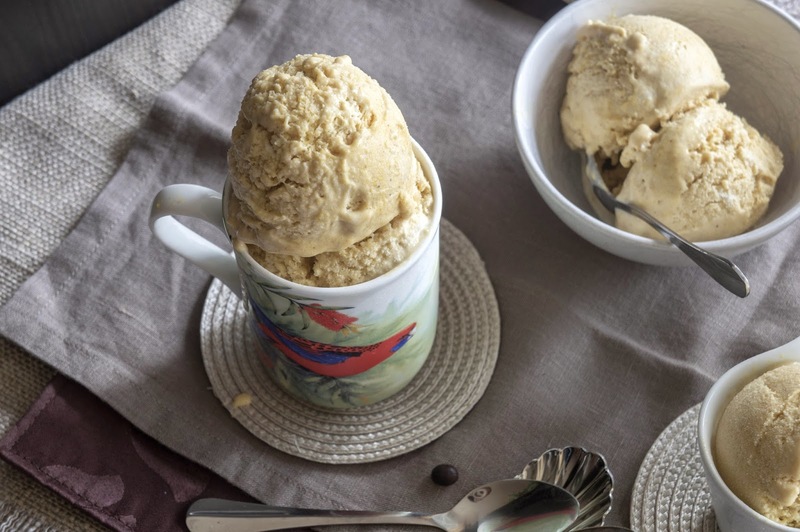 If you are using store-bought coffee ice cream you don’t need the Kahlua. Serve immediately as soft-serve or refreeze. 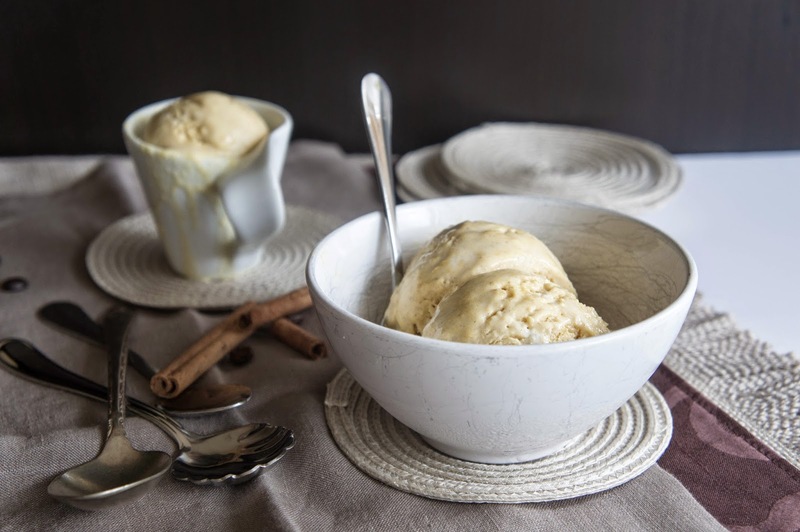 If you are making the ice cream, you can either make it ahead of time and do the same thing, or stir the pumpkin puree into the ice cream base before processing it in the ice cream maker. If using, split the vanilla bean and scrape out the seeds. In a medium saucepan, heat the cream, milk, sugar, salt, vanilla bean seeds, and the vanilla bean pod over medium heat until barely simmering. Remove from heat, cover, and allow to infuse for 30 minutes. Remove vanilla bean pod. In a medium bowl, whisk the egg yolks. Once the cream mixture is ready, pour onto the egg yolks in a steady stream whisking constantly. Return everything to the saucepan and heat over medium heat, stirring constantly, until the mixture thickens enough to coat the back of a spoon. Strain into a bowl and place bowl into an ice bath. Stir constantly until cooled to room temperature, about 20 minutes. This prevents lumps from forming! Stir in the vanilla extract and Kahlua. If you didn’t use the vanilla bean, feel free to increase the vanilla to 2 tsp. At this point you can stir in the pumpkin puree. Refrigerate until thoroughly chilled, preferably overnight. Once chilled, process in your ice cream machine and store in the freezer in a prechilled container.